There are currently 3,717 users on this website. Please try to offer a thread title that has meaning, and assists other students in the future. "advice on postmarks....." helps no one, and personally, I do not like answering, because the trouble I go to to respond, is just wasted, and gets lost in the 1000's of useless titles. 2. Attempt to offer a scan of the entire cover, and backstamps so we can get the whole story, one does not get a Diamond appraised from 7 feet away. It's the same with stamps. 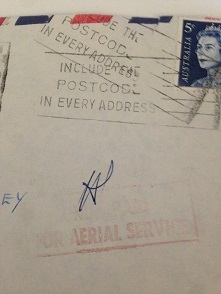 the REPTON Postmark is either Australian or England I cannot tell from your scans. 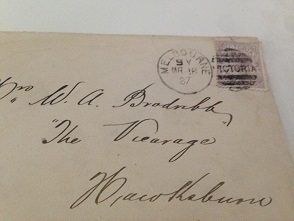 If it is England then it is an undiscovered Postmark, and we are awaiting a scan of the Postmark, none has surfaced thus far. 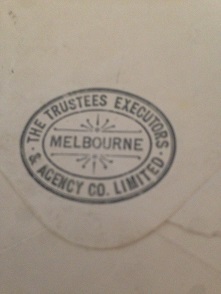 If it is New South Wales I cannot see a Duplex 215 listed in my database. 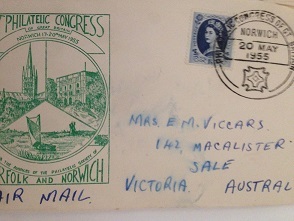 The Postmark "Philatelic Congress of Great Britain"
The PERTH Pmk, and the one above it, are "Machine Slogan Postmarks"
The envelope passes through an automatic postmarker, sometimes the cover slips, and makes another pass, like yours, with 2 impressions. 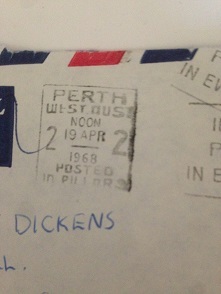 Hi Rod, I have another two posts with some interesting postmarks would like your advice if possible. 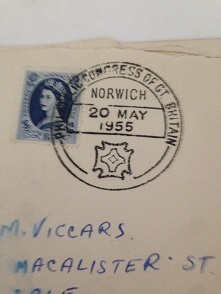 nice to hear philately, takes your mind off other important things. Shall address those tomorrow, Mr. sun has began to revist us, here in the West, so I garden in the afternoons to thaw out, and erecting a shade sail. 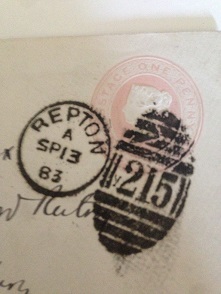 The Repton duplex is from the UK. Those 1d pink envelopes were used for many years. The duplex is common.